Guido Ascoli was born in Livorno into a Jewish family. His father was Giulio Ascoli and his mother was Rosa Costa. He attended school in Livorno, his secondary education being first at the technical school from where he went on to study mathematics and physics at the Technical Institute. He then studied at the University of Pisa, beginning his studies at the age of fifteen in 1903. At first he took civil engineering courses, intending to read for a degree in this subject but after three years of study he concentrated solely on pure mathematics courses. These courses were taught by a number of outstanding mathematicians including Eugenio Bertini and Luigi Bianchi. He was most influenced by Bianchi and wrote the thesis for his laurea under Bianchi's supervision. Ascoli's thesis, Sulla moltiplicazione delle singolarità delle funzioni analitiche Ⓣ, studied singularities of analytic functions and he was awarded his laurea on 5 July 1907. After graduating, he remained at Pisa for a short while having won a postgraduate scholarship for the year 1907-08. However, because of family problems, he returned to Livorno and was not able to continue with his intended academic career in universities. Because it was necessary for him to earn money to support his family he began working in industry, working on electrical conductors, but his health was poor, so Ascoli was forced to give this up and to consider a career as a secondary school teacher. In November 1909 Ascoli was appointed as a temporary mathematics teacher at the Technical Institute in Spoleto. He remained there for two years and during this time he won three competitions, one for a position in Spoleto and the others for teaching in state schools and technical institutes, and one for teaching in nautical institutes. After a very brief spell at Genoa, he moved to the Technical Institute in Cagliari where he taught for the two years 1911-1913. He was totally committed to secondary school education at this stage in his career and he wrote a school book Complementi di Geometria per gli Istituti Tecnici Ⓣ which was published in 1913. His next appointment was at the Technical Institute in Caserta where he again spent two years (1913-15) before moving to Florence where he taught at the Technical Institute during the academic year 1915-16. Of course in 1914, when Ascoli was teaching in Caserta, World War I broke out but, shortly after hostilities began on 3 August, Italy declared that it would not commit troops to the fighting. This was despite having an alliance with Germany and Austria-Hungary. Italy revoked this alliance on 3 May 1915 and later that month declared war on Austria-Hungary. Ascoli had not had to undergo military service after completing his degree since his health was not good enough. However, now that Italy was at war the rules were different and, in May 1916, he was mobilised and underwent training. He was sent to the front as a soldier in March 1917 as an officer in the 44th Field Artillery Regiment. On 7 May 1918 he was hit by the fragment of an exploding shell and wounded. For his bravery during the war he was awarded the Military Cross. After demobilization, Ascoli returned to teaching in 1919. His first position was at the Technical Institute of Parma where he remained until 1920. In that year he moved to Turin, taking up a teaching appointment there at the Technical Institute. ... Ascoli does not limit himself to dryly following the guidelines for university courses, but attempts to "discern in the admirable edifice of concepts and results that small bit that is essential in the very first study from what would otherwise be destined to remain a lifeless and inexpressive knowledge; to present to young people a simple and harmonic organism of fundamental ideas that contribute effectively towards their intellectual formation" (Preface). This is the reason why he introduces the concept of the integral before that of the derivative, because it is simpler and more intuitive when the point of departure is the calculation of areas. Coming to Turin - where, in 1925, he also married - was undoubtedly a decisive event in the life and career of Ascoli. Indeed, at that time his activity was not - as can be seen in the dozen works published up to that time - significantly different from what one would expect of good teacher, of an excellent middle school teacher. However, in 1926, on the threshold of becoming forty years old, there was an abrupt change that seems to justify the title of a famous book: "Life begins at forty". As for me, in October I was upset by being given a lot of work that I had never expected, to which was added in November, private tutoring of superior character that was offered to me by the Jewish Community in Milan and for which I went there three times a week, with much loss of time; my occupation for the rest of the time is not unpleasant and so I gave my consent to it from September. On the other hand there are times when each of my skills is put to good use. In those times, when so many relationships were inevitably lost or destroyed, your constant remembrance and your faithful friendship, which remained faithful even in the worst of times - and I want to proclaim this at every opportunity, to honour your courage and your right-mindedness - were a great comfort to me. Many times in recent years, putting pressure on my natural optimism, there has been created in me a great contempt for men, and especially those of high standing and ingenuity who should also be an example of honesty and character. The participation in the purge of the University of Milan, put me in contact with so many small and large acts of cowardice - it was the final blow for me. To be able to find among the ex-fascist university a good person, who after the end of fascism, has only served to put in place a good and beautiful idea that has done and is doing great honour to Italy, outside and above that of sectarianism, is a real consolation. ... professional development course aimed at new graduates who had to participate in the competitions for teaching positions in secondary schools. The course lasted three hours a week and comprised lessons in mathematics aimed at completing or refreshing the basic preparation and to accustoming future teachers to look at elementary mathematics from an advanced standpoint, as well as to take into consideration the history of mathematics; these lessons were flanked by exercises and discussion on the topics that would be addressed in the competitions. These activities of Ascoli came together in the book 'Lezioni di Matematiche complementari' Ⓣ (1952, second edition 1954) and in the volumes on the topics assigned in the course on mathematical culture for new graduates, 'Svolgimento dei temi assegnati nel corso di cultura matematica dell'Università di Torino' Ⓣ (1953, 1955, 1957). On the one hand he was always attentive to the latest developments in analysis while, on the other hand, he had his roots in the classic treatment of the great masters, and found nourishment in the history of mathematics, in logic, and in methodology. He considered the great problems of science, that is, what is the place and the value of mathematics in general, and of analysis in particular. Ascoli received many honours for his contributions. In 1935 he received an award from the Scuola Normale of Pisa for his monograph Equazioni a derivate parziali dei tipi ellittico e parabolico Ⓣ. He was elected a corresponding member of the Accademia dei Lincei in 1947, in 1950 he became president of the Turin Section of Mathesis, he was elected a member of the Accademia delle Scienze di Torino in 1952 and a member of the Istituto Lombardo di Scienze e Lettere di Milano in 1953. 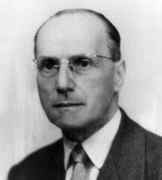 Also in 1953 he became a member of the International Commission on Mathematical Instruction and in 1955 he was president of the Italian Commission for Mathematics Teaching. This Commission began to function on 17 April 1955 when the first official meeting was held in Bologna with Ascoli as president and he continued to serve as president until the meeting in Turin on 24 April 1957. He died a couple of weeks after this meeting.